Sometimes reading other people's baby update posts can be bohhhhrrrrrr-ing, I know! But for the group of you that have children somewhere around 18 months, or have teensy babies and want to see what's in store for you, or maybe have grown children but like to reminisce on your own little ones at this age, let's do this. Besides, blogging takes the place of that quarter-filled baby book that I REALLY need to spend an afternoon updating. I love that baby book and at least can count on past blog entries to help fill in the memory gaps! 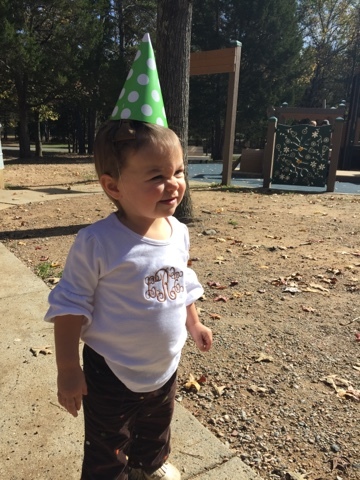 Here's what's going on in Camille's world at one and a half years old. Eating: She is a great eater! Breakfast is typically oatmeal, a multigrain waffle with peanut butter, mini-pancakes with peanut butter, or an egg -- always served with 1-2 fruits. Lunch and dinner are typically a protein, a starch, and a vegetable. Sometimes a fruit replaces one of the sides. She also loves a sandwich for lunch or cheese and meat roll-ups. She has milk with all three meals and water with her 3pm snack (typically a string cheese, Goldfish, a fruit pouch, or a little box of raisins). 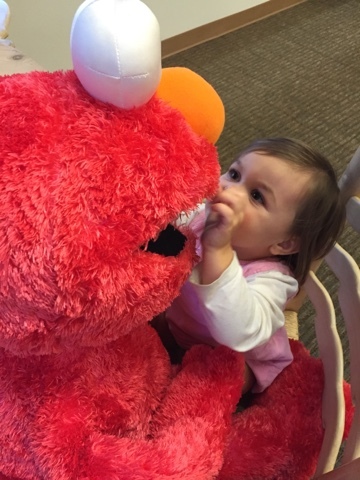 This girl LOVES Elmo. Constantly asking us to see Elmo. Loves being silly, spinning, getting tickled. Loves jumping -- well, trying to jump. Her feet don't really leave the floor yet. Loves kitty cats and dog-dogs. Especially cats. Loves seeing mom's growing belly and lifting my shirt up to kiss the baby or say "hi" and wave. Loves showing off her outfit of the day and turning around to show us how she looks. Loves outside walks in her stroller. 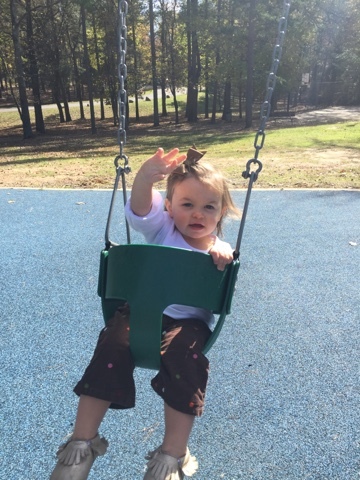 Loves swinging in the backyard or at the playground. Loves being outside and picking up rocks and leaves. Loves waving to the city bus. 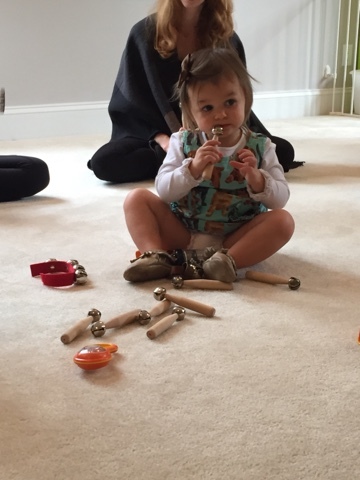 Loves music and dancing: We play a lot of music at the house and she has also been enrolled in weekly music classes. 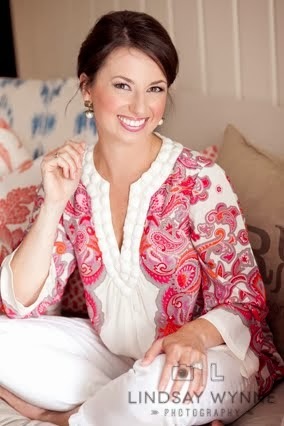 This week we start a new holiday class that I'm excited about! Camille has a STRONG personality and keeps us on our toes. She loves big, laughs big, and also gives a big "no no no!" when she doesn't want something. This could be a change to her routine (ie, someone else reading her bedtime stories), another kid getting close enough to potentially take her toy or food, a dog infringing on her personal space, you get the picture. Sometimes this can be embarrassing, like when it's happening to another kid, and especially if it's accompanied by hitting or pulling someone's bow out (CRINGE). I have had so many fellow moms assure me that it's totally normal and that it's a toddler stage that will pass, but it's tough! We've been doing some short time-outs followed by a hug since she can't say "sorry" yet. The pediatrician affirmed that this is fine and recommended that we try not to spend too much time on the logic behind why that behavior is bad. She said that all of that talking will go over her head for now, and time out (even if it's just moving to a different part of the playground) is mainly serving as a way to remove her from the situation and start off fresh upon returning. Our pediatrician always gives me lots of great homework -- skills I can be working on with Camille before our next appointment. Today we discussed the natural progression of Camille learning more words and starting to increase her two-word phrases. She currently has a few, but the majority of what she says are single words. She has a LOT of single words and isn't afraid to try a new word if we encourage her to say it. We haven't spent a lot of time yet on shapes, so that's a homework assignment for us. 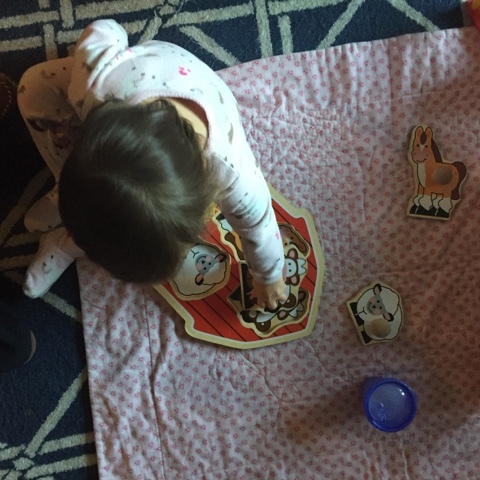 Our doctor loved the Melissa and Doug shape puzzles for her children and I found several on Amazon -- this house, these colorful shapes, and this one with some animals are my favorites and are all under $10. We just purchased this barn puzzle over the weekend and worked on it together several times. 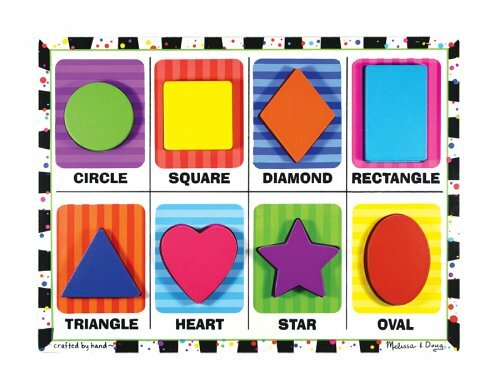 The doctor also said that the Melissa and Doug shape sorting cube is a fabulous learning tool and was a hit at her house. Santa, are you listening? Final homework assigments are education about colors, numbers, and ABCs. Right now Camille does know the color purple and the number 9. She can't recognize a 9 but she tells me all the time that she is 9 years old. HA! Our doctor said that the Munchkin foam bath letters and numbers are a great tool. They would choose a letter each night, like the M, and then talk during the bathtime about words that start with M -- mama, mouth, monkey, milk. Later this could progress to her saying to her daughter, "Find the letter that Mama starts with." She has also just started saying her name. She couldn't pronounce "Camille," but we taught her to say "Mill-Mill" and it's just the cutest thing when she says it. This girlie is a true spitfire and she makes us laugh daily. 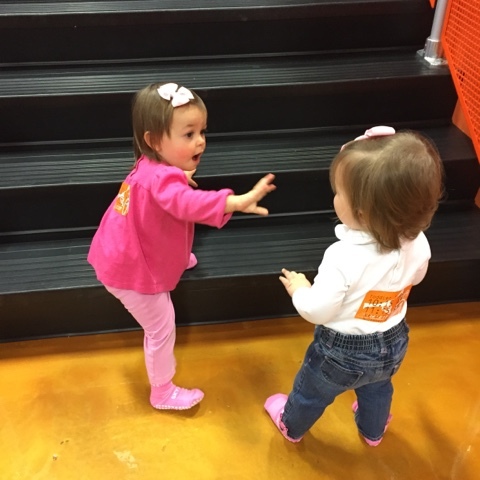 I can't wait to see her around her little sister or brother and witness her as a helpful big sister! She is so joyful and funny and sassy, and we just love her to pieces. *links provided are Amazon links and are affiliate links. She's so cute!! Discipline is really tough at her age but just stick with what you're doing. Miller at almost 2.5 is finally starting to be able to know when he's done something wrong and say sorry for it. He doesn't always like to but he will. Screaming no and hitting are totally normal at this stage. We still struggle with it some days. I love that you posted this! Our 14 month old is a spitfire but completely sweet! She gets very determined, which can be trying at times! Glad to know we are not the only ones :) ! And she is just adorable! Looooooooooooooove this little babe to pieces. And lifting your shirt to see baby? Heart melted. She's going to be the very best big sister. Love sharing these milestones together. It's been the most fun age, minus the "no! No! NOOOOO!" alllllllll the time and temper tantrums. Also, your 9 is our 2. Hilarious. I love this post! My little one is 16 months old and I sometimes have a hard time figuring out what I should be teaching her. Sometimes it's a little overwhelming since they have so much learning to do! I love these posts and keep bookmarking them for future reference as our little one grows!! Love reading about Camille! I started to say, Baby Camille, but she's growing into a little girl! Enjoy these moments! She's just the sweetest! This morning out of nowhere Emmy asked to go see her so we will have to make that happen soon! I found working on shapes & colors in the driveway with chalk was fun! " Chicka chicka Boom Boom" was read nightly from about 15-24. She's pretty confident in finding letters now... Definitely not an expert, but better... We have the foam bath letters & love them! Also, an ABC placemat gave me an opportunity to reinforce things at meals too. Colors took ALL spring & summer & then out of nowhere she knew them all!! You're doing great Momma & have a beautiful child on your hands! As a teacher, I find all the good Melissa and Doug puzzles atTJ Maxx! You have to dig deep sometimes but they are there for super cheap.